"Where good things are always going on!" For over 130 years, a hotel, eatery & pub have been at this location. Kutztown's original place for "good food and good cheer". 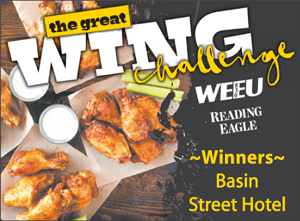 Serving the community for over 35 years, Basin Street is a casual restaurant & pub with the best wings in town or any town, a large menu serving a variety of sandwiches, wraps, burgers, southwest style specialties and dinners. 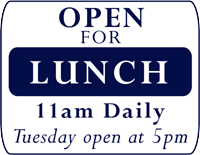 We also have a vegetarian menu and much more. Our motto is if we can make it for you, we will !! where locals and students all get along.